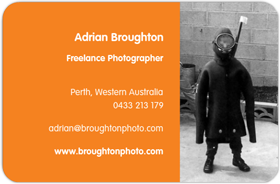 For my first blog topic I’ll discuss the story behind the little photo of a kid in a wetsuit that some of you may recognise as featuring on my business cards. It is a photo my Mum took of me when I was very young, circa 1979. 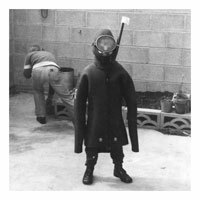 We stopped at a friend’s house for coffee after school one day, and there happened to be an adult-sized wetsuit laying around which of course I had to try on. Notice I’m still wearing my school shoes, and that’s my sister in the background (I’m not sure what she’s doing). This might not be many people’s first choice of images to include on a photography business card, especially as I didn’t even take the photo! But I put it there for a number of reasons. Firstly because it makes everyone who sees it smile. 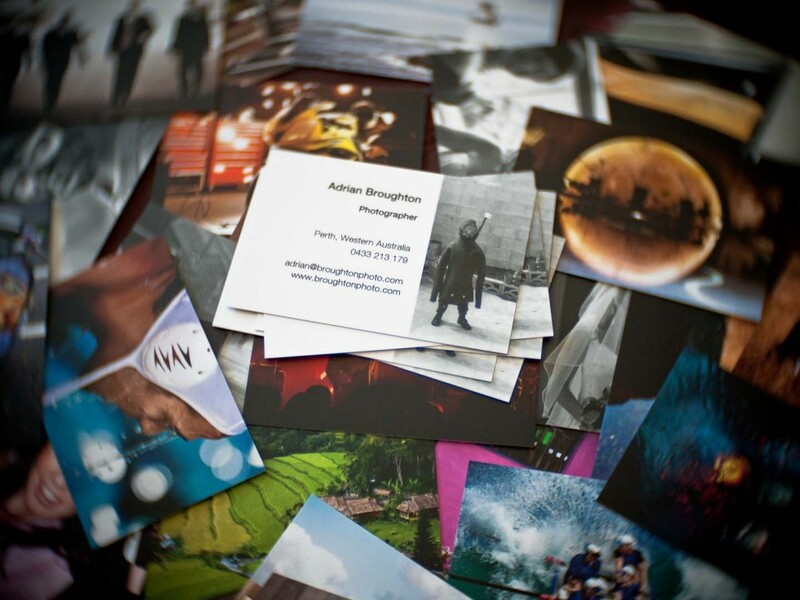 Secondly because it’s a photo of me, making it relevent to put on a business card (but in this case with a twist). Thirdly because it creates an interesting talking point. But the fourth and main reason is that it’s a constant reinforcement of the unique importance of photography as a link to the past. Photographs get more valuable over time, and a photo that may seem worthless and whimsical at the time can be treasured a few decades later. I’d like to think that other people make this realisation when they see this image on my card, if only subconsciously. I was actually so young that I barely remember this event, and I have no doubt that without this photo I would have forgotten it completely. Yet because of this photo, the event is now an important part of my childhood, and the photo is an important connection to my mother who passed away in 2008. It’s photos like this that give me a reason I pick up my camera at all.